Got Buzz @ Kurman Communications: Need Father's Day Recommendations? Check out these spots in Chicagoland! Need Father's Day Recommendations? Check out these spots in Chicagoland! With Father's Day on Sunday, June 16, it is time to start planning the picture-perfect meal to enjoy with your father. From brunches and dinner in downtown Chicago to dining on the North Shore, restaurants are offering something for every taste and budget. 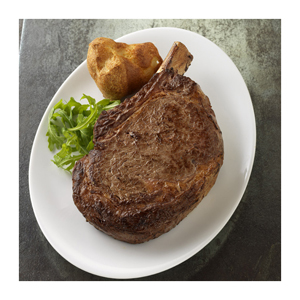 Benny's Chop House (444 N. Wabash Ave., Chicago; 312-626-2444) has two great suggestions for celebrating Father's Day. Since many families celebrate Father's Day by grilling at home, Benny's begins the celebration on Saturday with an evening of dining and great music. Whether you come on Saturday or Sunday, you'll enjoy a perfectly prepared USDA Natural, Dry-Aged or Wet-Aged prime steak, or a wide assortment of Chops, Fish and Seafood and some of the most delicious and satisfying desserts in Chicago. Live entertainment (Saturday only) makes it a wonderful celebration. As you dine, enjoy Cécile Savage (bass and vocals) and Calvin "Koco" Brunson's (piano and vocals). The co-leaders of the jazz group "Komango," Savage and Brunson offer a culturally diverse repertoire steeped in the African American, French and Brazilian traditions. Kick off your Father's Day weekend with an enchanting evening at Benny's. For reservations, call 312-626-2444. In a quandary about what do give dad? Why not join Bello Tea's Tea of the Month Club. Bello will ship their tasting selection of exciting and wonderful teas throughout the year. The membership is a great way to adventure into the world of tea and herbals. 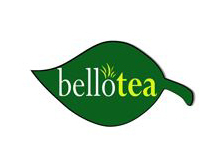 Bello Tea frequently introduce new teas to their customers and club members will be the first group to sample them. It is a great gift for tea lovers - healthy and delicious options. Featured teas are hand selected by Bello Tea each month from our wide selection of loose leaf Black, Green, White, Oolong, Yerba Mate, Rooibos teas and other botanical. Membership includes: 2 - 2 oz. packages of our featured loose leaf tea sent to you directly each month and early-bird email notification of new products, special promotions, and events at Bello Tea. Membership includes shipping and handling of featured teas with delivery anywhere in the U.S. Prices begin at $50. Enjoy Bello's Father's Day Sale between June 8 and June 16 and receive a 10 percent discount.on tea, accessories, and gift baskets, excluding Tea of the Month Club and Gift Cards. Oh Olive! 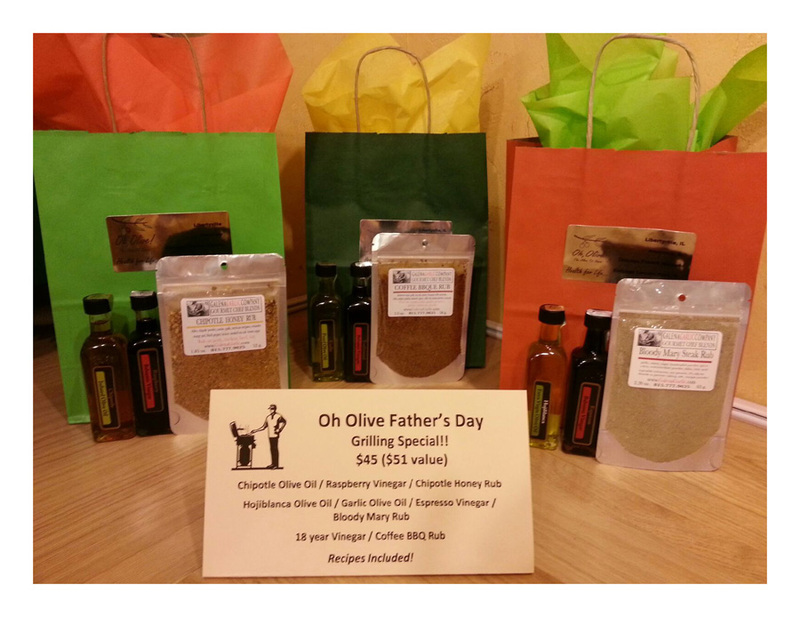 Father's Day Grilling Package Special! Place your orders early for Oh, Olive's new unique olive oils available include Red Grapefruit, Yellow Grapefruit, Tangerine, Bergamot and Mandarin. 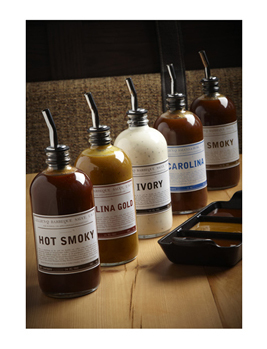 These tasty oils are perfect for dressing on salads, use as marinade for chicken, scallops, shrimp or fish, drizzle on ice-cream, yogurt, cottage cheese & cheesecake. The possibilities are only limited by your imagination! Visiting dad for Father's day? Don't go empty handed. Vanille Patisserie offers something the entire family will enjoy. Macarons, the famed Parisian confectionery delivers the essence of a dessert in a single bite. These colorful sandwich-shaped delicacies have a crunchy meringue shell encapsulating an intense burst of flavor at its creamy core. Vanille offers a colorful spectrum of flavors, whether strawberry lemongrass in the summer or classic vanilla bean year around. No matter what the variety, Vanille never strays far from its French roots, while evolving its ever-changing flavors in new and unexpected directions that characterize the Vanille spirit of innovation. 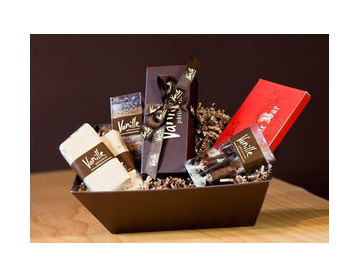 Pickup a Vanille Gift Basket...their gift baskets are the perfect way to give the gift of traditional French pastries, packaged in design as elegant as the artisan French pastries nestled inside. 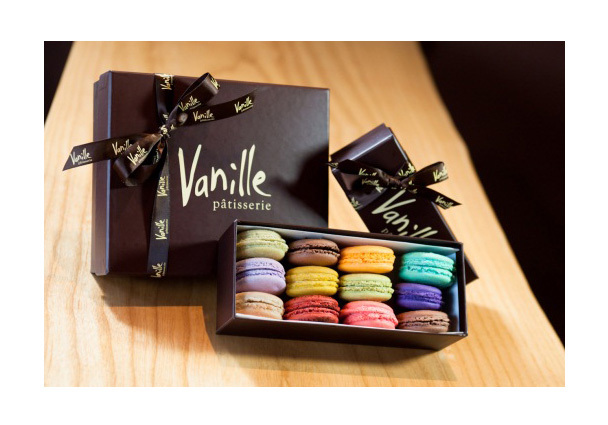 An instantly recognizable statement of premier quality and good taste, Vanille gift sets include of a sampler of our highly acclaimed French macarons, positively addictive Pate de Fruit, luscious Buttery Caramel and their signature Montélimar-style Nougat bars, it will be a gift long remembered. Prices range from $40 and up for phone and in-store orders and 24 hours notice for online orders. 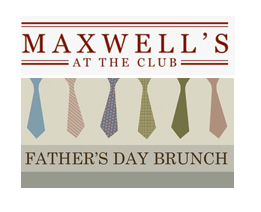 An extravagant buffet, the perfect fit for a hungry father, will be offered at Maxwell's at the Club (500 N Kingsbury St., Chicago, IL 60654; 312-527-5800) on Father's Day. 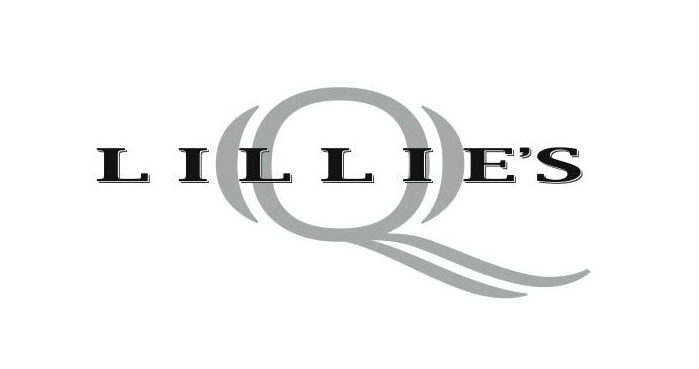 The meal offers a wide selection of delicious appetizers and salads, breakfast specialties, entrées, and a carving station featuring Dad's favorites, all flawlessly prepared. A sumptuous pastry and dessert bar serves as the perfect finale. The brunch is priced at $45 for adults and children, ten and under, $15. Among the selections on the Maxwell's Father's Day Brunch menu are Chilled Shrimp Cocktail, Pineapple Cole Slaw, and Roasted Asparagus and Quinoa Salad. The carving station features Roast Rack of Lamb with Mint Jelly, Roast Turkey with Cranberry Sauce and Honey Mustard, and Roast Prime Rib with Au Jus and Horseradish Sauce. For the main course, guests can choose from classic breakfast dishes like bacon, Eggs Benedict, and French Toast with Sautéed Bananas or tasty entrées such as Spicy Barbecued Chicken Tenders with Corn Fritters and Basil Pesto-Crusted Roasted Cod, just a couple of the many dishes that Maxwell's has prepared for the day. To read Maxwell's entire menu, visit http://eastbankclub.com/dining/maxwells-at-the-club/events/fathers-day-brunch/. For reservations, you can call 312-527-5800 ex. 301, or visit them online to use the Book a Table feature found on the home page. Say "Merci Beaucoup!" to your Father this Father's Day with Oceanique's (505 Main St, Evanston, IL 60202; 847-864-3435) Father's Day Special Six-course Weekend Tasting Menu. Each impeccably prepared and presented course is offered both Friday and Saturday (Oceanique is closed on Sundays) of Father's Day Weekend. The celebration starts with a Japanese Breakfast comprised of Smoked Salmon, Seaweed Salad and Horseradish Crème Fraiche. 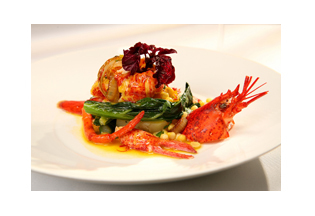 The deuxième (2nd) course features Wild Maine Lobster, Prosciutto Salad, a Venison Pate, Michigan Purple Asparagus Soup and Wild Maine Day Boat Scallops. Next, enjoy a Butternut Squash Ravioli and a Seasonal Sorbet, for the troisième (3rd) and quatrième (4th) courses respectively. Savor the Cinquième (5th) course of Organic Danish Faroe Islands Salmon, Wild Alaskan Halibut and Wild Delaware Skate . There's something for everyone on Prairie Grass Cafe's (601 Skokie Boulevard, Northbrook Illinois, 60062; 847.205.4433) Father's Day brunch menu, a steal at $45 per adult, $15 for children 10 years and under. Enjoy their truly fabulous brunch buffet featuring New York Strip with "River Valley Ranch" mushroom sauce, Slow Roasted Salmon with Lentil-Grain Salad, Chicken Cutlets and All Natural Meat Loaf with BBQ Sauce and Onion Strings along with a variety of salads, made-to-order omelets, waffles and signature Valrhona chocolate and hazelnut spread or strawberries and jam crepes. The buffet also includes a selection of house baked breads, fresh fruit and desserts like Mini Crème Brulees, Chocolate Cupcakes, warm seasonal Berry Crumble and Mom's Strawberry Cream Pie. Brunch is served from 10 a.m. to 2 p.m.
Prairie Grass is also offering an evening celebration. Father's Day Dinner include unforgettable specials such as Grilled "Creekstone" New York Strip, tastefully accompanied by delectable Grilled Vegetables and every father's favorite, Mashed Potatoes ($39). Prairie Grass will also be serving Wild Alaskan Salmon featuring "River Valley Ranch" Mushrooms complemented by a savory Basil Remoulade and Balsamic Reduction ($34). Make sure Dad and you leave room because you won't want to miss Prairie Grass Cafe's amazing Mom's Strawberry Cream Pie , made with fresh local Strawberries. It's the perfect ending to a one-of-a-kind celebration honoring your extraordinary Father. The specials for Father's Day Dinner will be served in addition to Prairie Grass Cafe's regular menu, containing remarkable dishes from Chef/Owners Sarah Stegner and George Bumbaris, made with only the freshest ingredients from local sustainable farms. If your mouth is not watering already, visit http://www.prairiegrasscafe.com/index.php?page=dinner to view Prairie Grass Cafe's entire menu. For reservations, call 847-205-4433 or make your reservation online at http://www.prairiegrasscafe.com/index.php?page=reservations.